In a perfect world, I'm sure many of us would love to make all of our Christmas vegetarian food from scratch. However, in a real world, that's not always practical and Christmas should also mean time off for the household cook. Just a quick scan of the supermarkets online food sections has surprised me as many of the supermarkets haven't even listed any vegetarian main courses in their Christmas dinner sections this year, and they haven't developed any main courses especially for the big day. However - I have found some dishes which would complement the traditional turkey on Christmas day and lots of vegetarian food to keep the party going throughout December. I have not been able to feature in-store Marks and Spencer and Morrisons food as they don't have online sections, however, most of the other supermarkets are represented. These are all my own picks and this post has not been sponsored in any way. If you are shopping in the supermarket for vegetarians this year, remember that as well as meat and fish, many vegetarians also do not eat any products with animal rennet in. This includes pesto, parmesan cheese and other cheeses and products. Make sure that you always check the packaging - especially on cheeses to make sure food is vegetarian. The veg society produces a good fact sheet on vegetarian cheese. Vegetarians also don't eat gelatine - so be sure to check desserts to see whether they are vegetarian - you will be surprised how many desserts do contain them including Christmas trifles and mousses - I even found pork gelatine in strawberry mousse recently! - Just make sure you check the labels and ingredients when you are shopping and you can't go wrong. So here is a selection of the best vegetarian christmas dinner and party food available in the UK supermarkets this Christmas. If you think I have missed any great dishes out, or you spot something at the supermarket that I've not featured, then I would love to hear from you so that I can add it to the list. 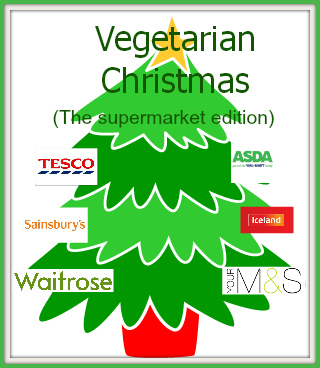 Enjoy your 2012 Vegetarian Christmas! Breaded Camembert - Asda, £3.00 for two. Marks and Spencer have a great Food to Order range for vegetarian party food (although their only Christmas main course on offer is vegetarian lasagne). You can view the Vegetarian Food to order here. 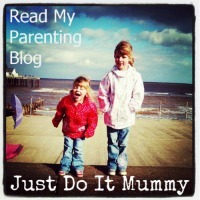 I hope this has been useful - do leave me a comment if it has! Always nice to see what's available-the waitrose wellingtons sound nice! Thanks Sonya for the comment - they do sound lovely don't they!